Preheat oven to broil. 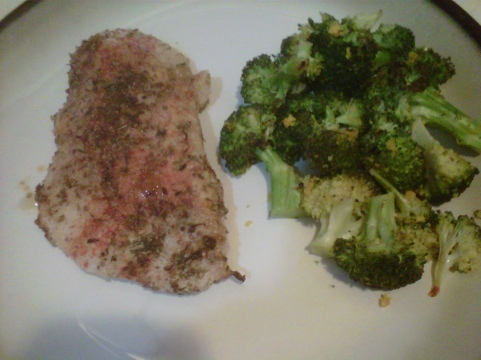 Place broccoli in large bowl and toss with oil and pepper. Drizzle with orange juice and orange zest and mix thoroughly. 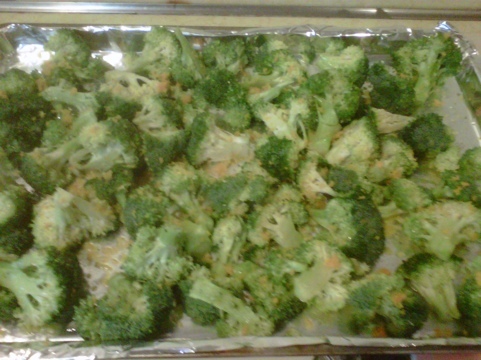 Arrange broccoli pieces evenly spaced on a rimmed baking sheet. Broil for ten to twelve minutes, until bright green and slightly tender.